Did you know? The circa 1991 Sovtek Civil War Big Muff (dubbed that because of its blue and gray chassis) used the same circuit as the Tall Font Green Russian Big Muff and our EHX Green Russian Big Muff! 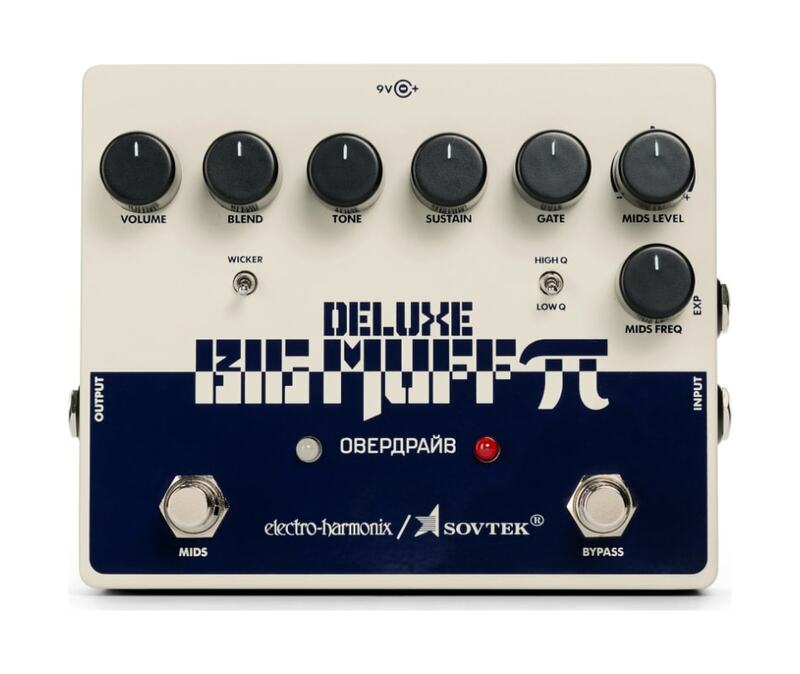 The new Sovtek Deluxe Big Muff expands on that big, wooly sound with the addition of the Deluxe Big Muffs advanced controls while paying homage to the Civil War Big Muff aesthetic.Its all here in one integrated pedal. The Sovtek signature sound. The devastating low end, crisp highs and non-scooped mids, plus the advanced control of the Deluxe Big Muff in a single, completely integrated pedal. We've kept the familiar Sustain, Tone and Volume knobs, and we've added a ton of extras from the Deluxe Big Muff for those who crave its deep sound shaping abilities. 5. WICKER - With the switch up, high frequency bandwidth is opened up for a more pronounced attack. Switch down yields the traditional Green Russian sound.